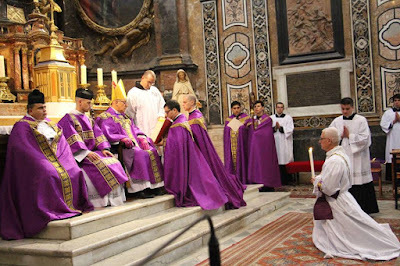 This past Saturday, His Excellency Dominique Rey, bishop of Fréjus-Toulon, conferred the minor orders on four seminarians of the diocese, and one of the Fraternity of St Joseph the Guardian, and ordained to the priesthood a Frenchman incardinated in the Scottish diocese of Argyll and the Isles. 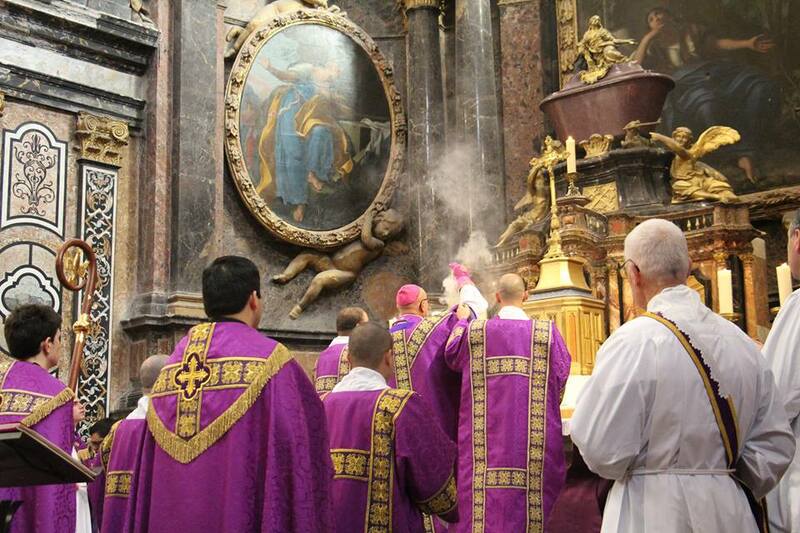 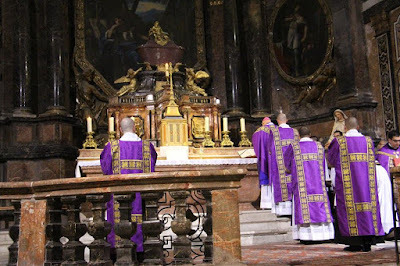 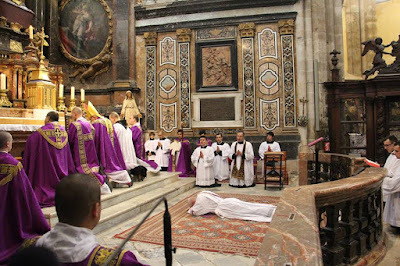 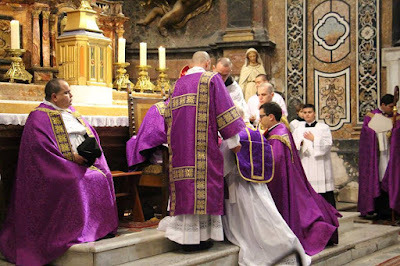 The ordinations were performed in the course of a Pontifical Mass of the Ember Saturday in Advent, an occasion traditionally designated as one of the proper days for ordination rites; back in very ancient times, one of the seven orders was conferred before each of the readings. 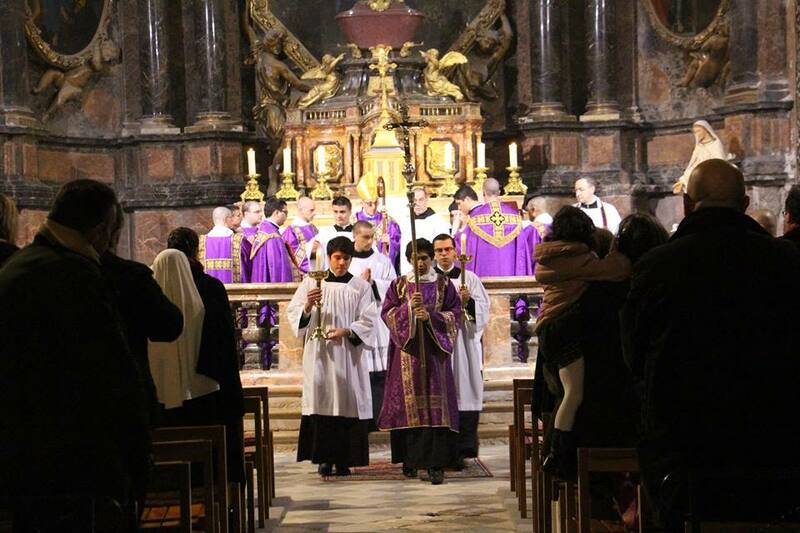 The ceremony was held in the magnificent basilica of St Maximin, where the relics of St Mary Magdalene are kept; Dom Alcuin Reid, who needs no introduction to our readers, served as the MC. 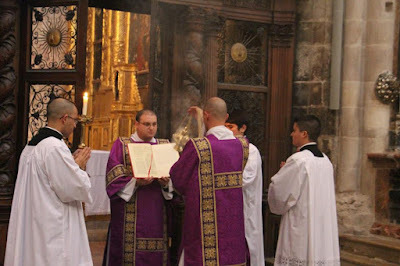 The full set of images can be seen on the Fraternity’s Facebook page. Our thanks to Bishop Rey for this edifying example of cultivating these ancient and beautiful traditions of the Church, and our congratulations to the ordinands. 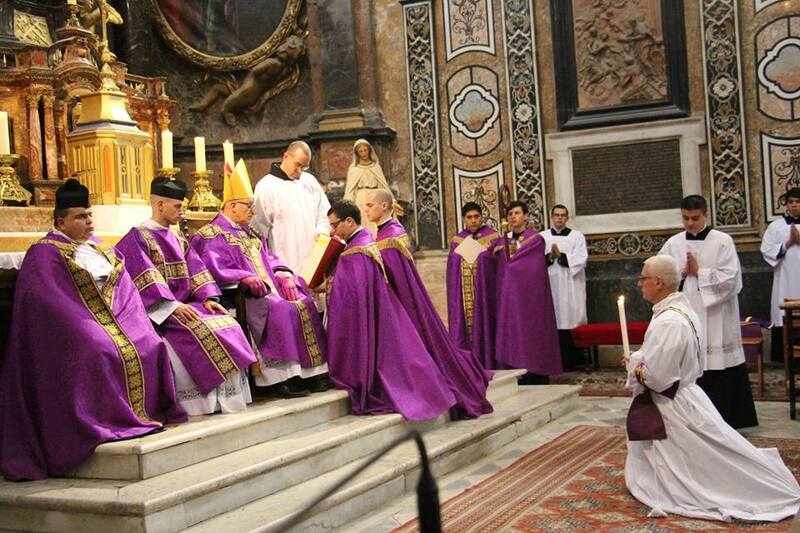 The ordinands come forward for the minor orders. 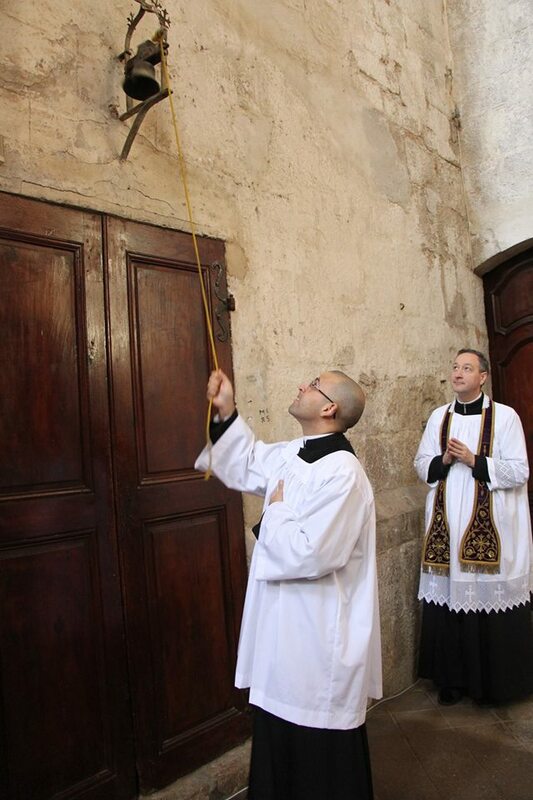 ... and performs his new office. 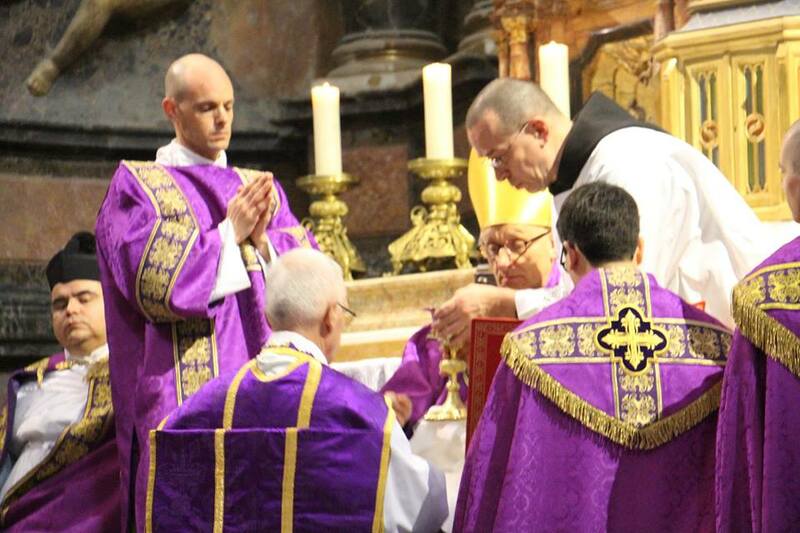 The bishop’s exhortation before the priestly ordination. Towards the end of the Litany of the Saints, the bishop rises, receives his crook and miter, then turns to the ordinand, and sings the invocations, “That Thou may deign to bless + this chosen one. 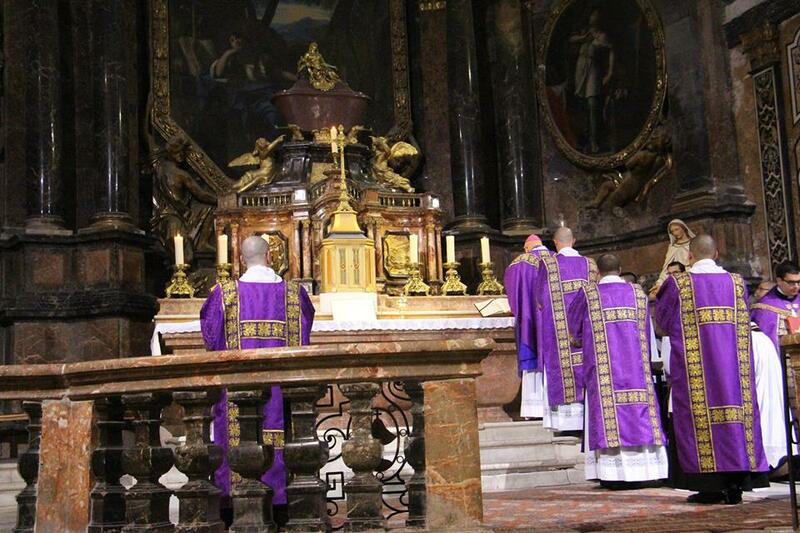 - That Thou may deign to bless + and sancti+fy this chosen one. 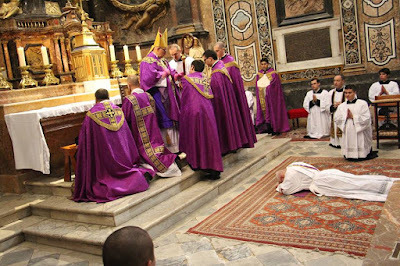 - That Thou may deign bless +, sancti+fy and conse+crate this chosen one.”, making the sign of the Cross over him where I have put the + sign. 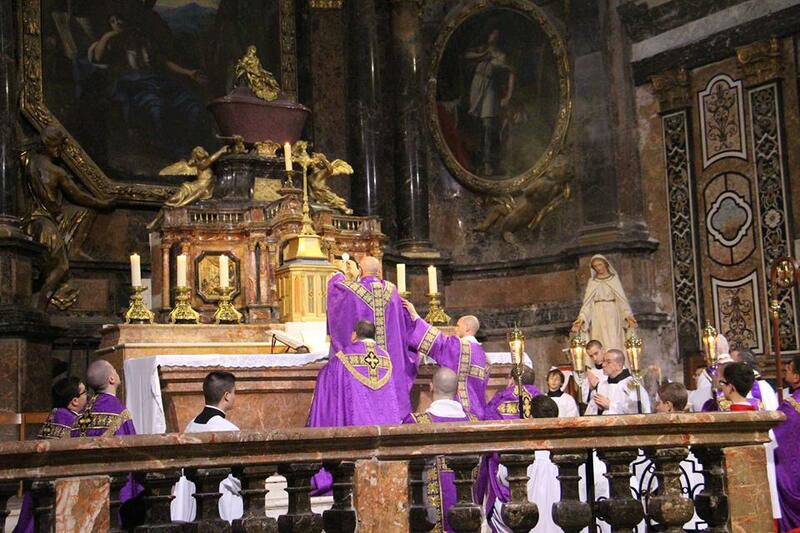 The new priest is vested in a chasuble. The “traditio instruementorum,” the handing over of the instruments, a crucial part of all ordination ceremonies. Until the end of the ceremony, the new priest’s chaubles is pinned up at the back; at the end of the ordination rite, it is unpinned by the bishop, as a symbol that he has released him to the exercise of his priestly ministry.